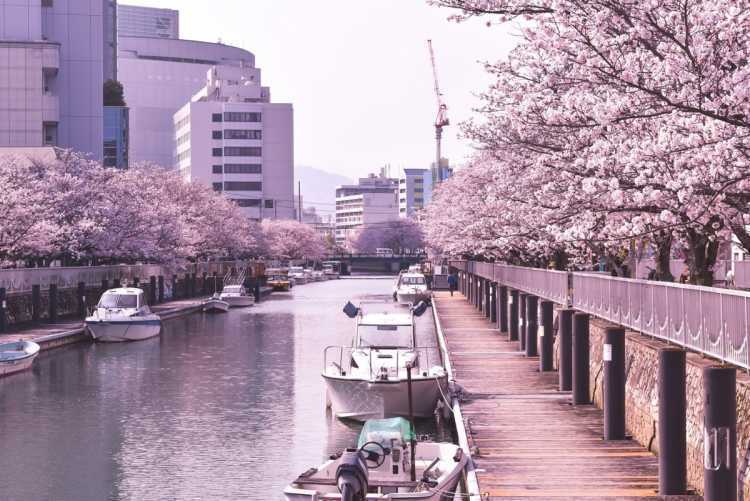 This is a popular 'hanami' spot where the cherry blossoms color the both banks of Horikawa River. Though the trees are surrounded with some buildings, the beautiful scenery of full-bloom at both sides is really worth seeing! ◎The best season to see is from the end of March to the beginning of April. Location: Along Kochi City Culture-Plaza Cul-Port and Horikawa River.